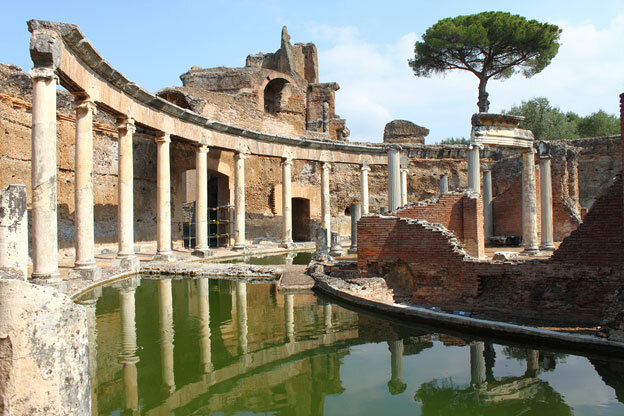 As Italy commemorates the anniversary of the death of the first Roman Emperor, Augustus, in 14 AD, we continue our series investigating life in ancient Rome. Our first article described the Romans' diet; our second article looked at how the ancient Romans tied the knot. In our third article in the series we look at politics and power: the Roman Empire was ruled over by some great men - here are five of the greatest emperors. Founded in 27 BC, the Roman Empire went on to become one of the greatest empires in history. At its height, c. 117 AD, the Roman Empire was the largest social and political structure in western civilisation: it comprised almost 57 million people and covered more than 1 million square miles throughout Europe, Africa and Asia. The rulers of the State were known as emperors rather than kings, given that they were leaders of a republic. However, as the years passed by, in practice, imperial succession was often hereditary. Some emperors such as Nero and Caligula are remembered as insane despots. Yet the empire survived thanks to actions of its many wise leaders, who won the loyalty and respect of their subjects, the military and the Senate. Here are some of Rome’s best. Augustus was an honorary title conferred on the first Roman emperor, Gaius Julius Caesar Octavianus, the great nephew of Julius Caesar. Succeeding emperors assumed the title “Augustus”, meaning “lofty” or “serene”, at the Senate’s request. After his great uncle was assassinated, Augustus swore to avenge him. In 31 BC, he defeated Antony and Cleopatra at the Battle of Actium and became Rome’s undisputed leader. Emperor Augustus helped expand the Roman Empire’s territory and defend Rome from the so-called “barbarians”. He also introduced a programme of reconstruction. 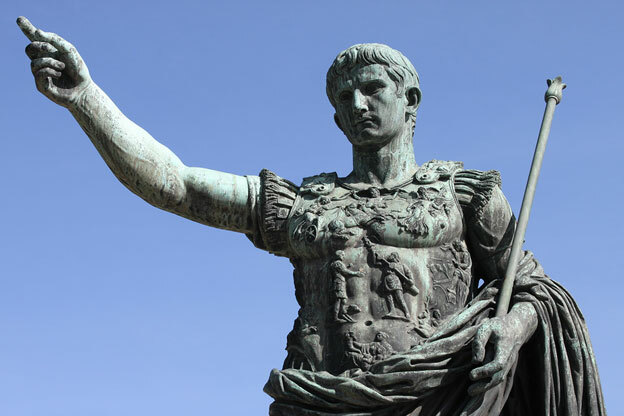 Augustus was a patron of the arts, social reformer, strong military leader and author. He wrote an autobiography that, sadly, has been lost. When Augustus died, he left a prosperous and financially stable empire. Of Spanish birth, Trajan was the first Roman not born in Italy to become emperor. He had an illustrious military career before becoming ruler. He conquered Dacia (modern Romania), making it a Roman province, and a large part of the Parthian Empire (modern Iran). During Trajan’s reign, the Roman Empire reached its maximum size in terms of territory. Trade and commerce between the empire and its northern and eastern neighbours flourished, and the empire prospered. Trajan was an active social reformer and enthusiastic public builder. He introduced an extensive building programme that reshaped Rome with landmarks like Trajan’s Forum and Trajan’s Column. His work did not go unnoticed: the Senate declared Trajan the official optimus princeps (best ruler). Known for building Hadrian’s Wall that marked the northern limit of Roman Britain, Emperor Hadrian travelled throughout the Roman Empire, building palaces, libraries, temples and baths as he went. A lover of architecture, he was the man behind some of the Empire’s most iconic buildings, including the Pantheon in Rome and Hadrian’s Villa at Tivoli. Antoninus Pius was Emperor Hadrian’s adopted son. He oversaw the Roman Empire through its most peaceful period without any major conflict. When crises occurred, he managed to resolve matters without leaving Italy, choosing to opt for diplomacy. He instituted radical legal reforms, among them the idea that accused persons are not to be treated as guilty before trial. One of Antoninus Pius’ adopted sons, Marcus Aurelius first ruled as emperor with his adoptive brother Lucius Verus until his death in 169 AD. Marcus Aurelius was a great soldier and personally led the campaigns against the Germanic tribes, leading Rome to victory. He was also a renowned Stoic philosopher, writing the ‘Meditations’ while on a military campaign against the Germans. He was highly regarded in his lifetime as a great thinker and for his devotion to duty.